How Do Genes Affect Addiction? Addiction is a complex condition that is influenced by multiple factors, including genetic make-up. Contrary to popular belief, there isn’t one single “alcoholism gene” or “drug addiction gene.” Multiple genes play a role in the development of an addiction, and just because someone has a predisposition doesn’t mean that he or she will become addicted to drugs or alcohol. The genetics of alcoholism and drug addiction. The causes of substance abuse. Ways to prevent an addiction. Who Answers? to speak to a representative about drug and alcohol addiction recovery centers. Using drugs or alcohol in greater amounts or for longer periods of time than intended. Displaying an inability to cut down or quit using. Experiencing strong urges to use drugs or alcohol. Failing to fulfill home, school, or work responsibilities due to substance abuse. Continuing to abuse the substance despite interpersonal or social problems worsened by or caused by use. Abandoning recreational, occupational, or social activities in favor of substance use. Persistently using drugs or alcohol in dangerous situations, such as while driving a car. Continuing to abuse alcohol or drugs despite mental or physical health issues worsened or caused by use. Developing tolerance: more of the substance is needed to feel desired effects or the user feels less of an effect while continuing to use the same dose. Experiencing withdrawal symptoms when use is stopped or using drugs or drinking alcohol to prevent or stop withdrawal symptoms. 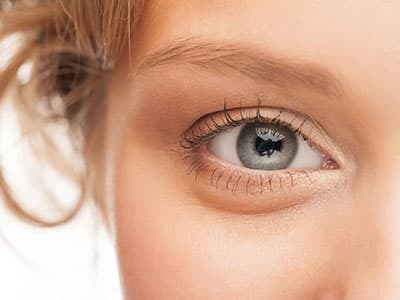 Physical: observable traits such as height, hair, eye, and skin color. Predisposition to a condition: increased vulnerability to diseases or mental illness, including substance addictions. Genes are not always fate, though. The environment strongly interacts with genetic composition to influence traits. If you or someone you know has an addiction to drugs or alcohol, call our helpline at 1-888-319-2606 Who Answers? to learn more about addiction treatment options. Those addicted to cocaine and alcohol are more likely to have a specific genetic variant (known as the A1 allele) for the gene that codes for expression of the DRD2 dopamine receptor. Mice without the serotonin receptor gene Htr1b are drawn to cocaine and alcohol administration. Mice with decreased levels of neuropeptide Y consume higher amounts of alcohol. Remember that just because you have one or more of these genes doesn’t mean you’ll become addicted to drugs or alcohol. Environmental factors can protect you from abusing substances and developing an addiction. Who Answers? if you or your loved one needs help recovering from an addiction. Addiction is a multifaceted condition. It is caused by environmental influences as well as genetic factors. Both risk factors and protective factors are associated with drug dependence. Risk factors increase the chance that someone will develop an addiction, while protective factors decrease the chance. Lack of a support system. Strong parent-child relationship or bond. Someone with many risk factors is more likely to experience further risk factors, which is why early and comprehensive intervention is vital in preventing the development of an addiction and additional mental health problems. Know your family history and learn the signs of addiction. Just because you have a family history of addiction doesn’t mean that you will develop an addiction yourself. Abstaining from drinking or doing drugs if it runs in your family. Educating yourself on the signs and symptoms of addiction. Finding healthy ways to relieve stress, such as exercising, meditating, keeping a journal, painting, playing an instrument, or spending time with family and friends. Creating a strong support network of sober friends and family. Learning about the harmful effects of drugs and alcohol. Seeking addiction treatment if your use is problematic. If you or someone you know is addicted to drugs or alcohol, various types of treatment programs are available. Inpatient treatment: Residential rehabs, which can be standard, luxury, or executive programs, require that you live at the facility for the duration of your treatment while receiving comprehensive recovery services. Outpatient treatment: Outpatient programs provide the freedom to live at home and fulfill home, school, or work responsibilities while receiving addiction services, such as therapy or counseling. Dual diagnosis: A dual diagnosis means a person suffers from an addiction and a co-occurring mental health disorder. If you suspect or know that you have a dual diagnosis, seek out a recovery center that is experienced in treating comorbid conditions. Individual therapy: A credentialed therapist will use a number of therapeutic techniques to help you change thoughts, feelings, and behaviors that can lead to addiction and help you develop coping skills. 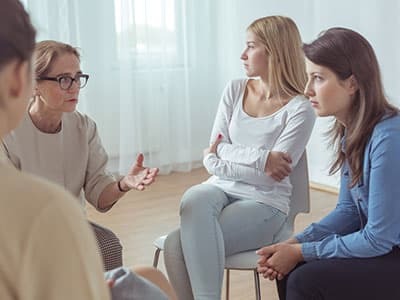 Group counseling: A counselor will facilitate a group therapy session centered on the development of interpersonal skills and the use of coping strategies. Groups are usually small and include other people struggling with addiction. 12-step programs: Twelve-step programs, such as Narcotics Anonymous and Alcoholics Anonymous, provide members with encouragement, support, and guidance while working toward achieving and maintaining a sober and healthy life. Call our helpline at 1-888-319-2606 Who Answers? if you are interested in learning more about addiction treatment for yourself or a loved one. A representative is available to speak to you 24 hours a day, 7 days a week.
. University of Utah. (2016). What is Heredity?
. University of Utah. (2016). What is a Trait?
. University of Washington. (2012). Personality: What Makes You the Way You Are.
. University of Colorado. Heritability: Introduction.
. University of Utah. (2016). Genes and Addiction.
. Newcastle University. (2013). Gene mutation for excessive alcohol drinking found.
. Substance Abuse and Mental Health Services Administration. (2015). Risk and Protective Factors.